Rebecca Field, Ph.D., has worked in the field of language education for over 30 years. Field has conducted action-oriented research in bilingual schools and communities since 1986 and has published two books on her work, Bilingual Education and Social Change and Building on Community Bilingualism. Field concentrates much of her energy and efforts on leadership and capacity building in language education at the district, school, and classroom levels. 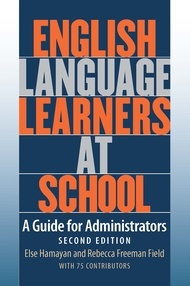 She co-edited (with Else Hamayan) English Language Learners at School: A Guide for Administrators. Field also has extensive experience working with general education, bilingual education, ESL, world language, and heritage language teachers, administrators, and coaches in the United States and internationally. She helps them focus on language policy and planning; language education program development, implementation, and evaluation; academic language and literacy; biliteracy; and differentiating instruction and assessment for bilingual and English learners.